Supplier Relationship Management (SRM) is the discipline of working collaboratively with suppliers in order to maximise the value derived from those supplier relationships. I bet you have spent endless nights pondering the question what is Supplier Relationship Management? Well if you work within a large business or supply to one, then get ready to hear a lot more about it in the coming weeks, months and years. Why, you might ask? Because big businesses are committing considerably more resources to supplier relationship management activities in order to tap into more value and innovations from their suppliers then ever before. Research* from the Procurement Intelligence Unit identified the biggest change of resource allocation over the next 5 years in procurement functions of the leading companies would be toward Supplier Relationship Management and Supplier Innovation. Supplier Relationship Management has lots of different definitions, so I turned to Twitter and Quora to crowd source the best answer. 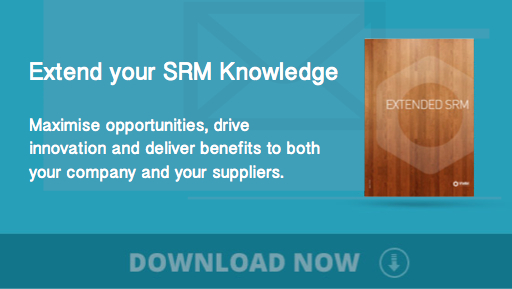 Here is the link to my question : What is Supplier Relationship Management (SRM), in one sentence? * CPO Strategy is an annual survey conducted by the Procurement Intelligence Unit in partnership with the Procurement Leaders Network. Collecting 250 responses from CPO’s (Chief Procurement Officers) and other senior procurement executives across a variety of sectors. The study identifies key procurement developments and explores high-interest topics for the function. More information can be found at www.procurementleaders.com.